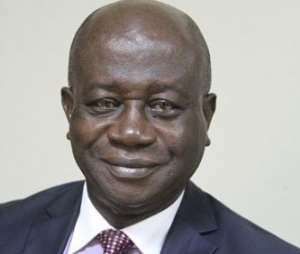 A group calling itself Public Accountability Ghana (PAG) claimed the Controller has 'crossed' the mandatory age of 60 needed to head the government institution. They are calling on the appointing authorities to relieve him of his post immediately. A news release issued and jointly signed by Dan Amu and Musah Abdulai, Chairman and Secretary of PAG respectively, claimed Mr Ofosuhene is nearing 69 years, which they said is far in excess of those given contracts after attaining the mandatory age of 60. “The Controller and Accountant General, who is 68 plus years old, is the only over aged appointee of the President still in office. The National Health Insurance Authority (NHIS) CEO was sent home due to his age at 64. The Korle-Bu CEO was sent home due to his age but the Controller is still working. This act is so selective on the part of the government,” the PAG said in the release. It added that “there is no malice intended, but we all know that recently the Public Services Commission said the reason why Dr. Anyah was relieved of his post as CEO of Korle-Bu Teaching Hospital was because the experienced medical practitioner passed the age needed to head the place so if the controller is also above the age, it's fair that the authorities take steps to retire him,” the source added. The Controller did not comment on the issue but a source close to him said since the appointing authorities have not raised any issues with his age, nobody can force him out of office.